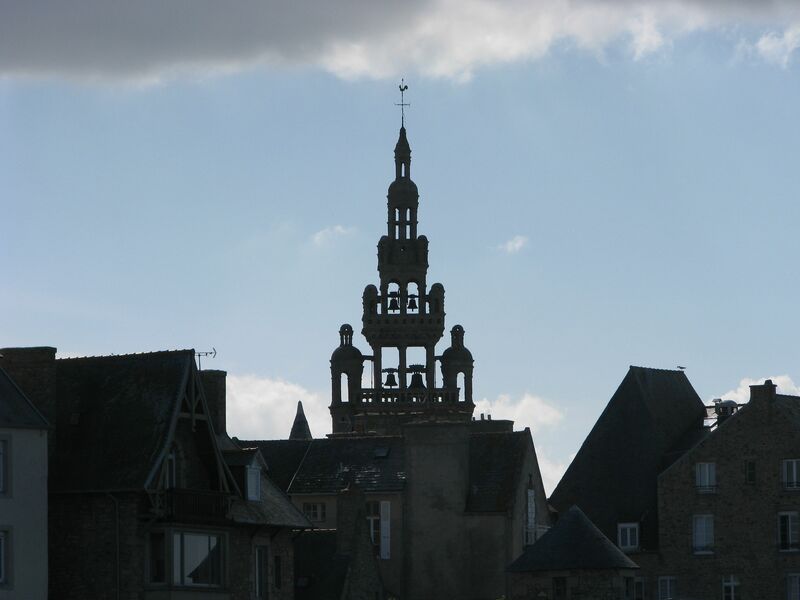 I have already commented briefly on the local all day trip from Morlaix called “A fer et a flots” Look at a my previous blogs dated 18 April and 1 May 2011. The trip has been documented by the French TV channel TF1 and is well worth looking at. If you cannot speak any French, please do not worry as I am sure you will get the gist of the whole thing, the pictures and the happy faces tell the story very well. Really it is a fabulous day out ~ to be recommended ~ It is rated with the Taylor’s **** stars! 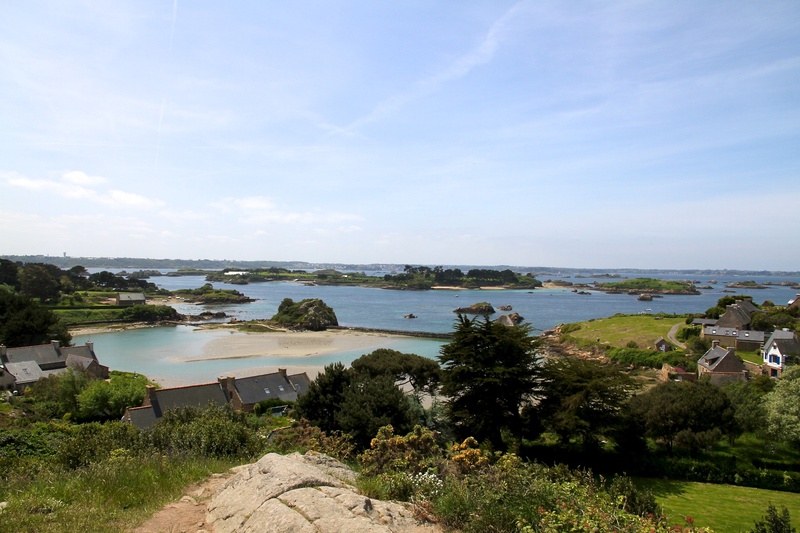 You will leave Morlaix either by boat or by train, dependant upon the time and state of the tides. 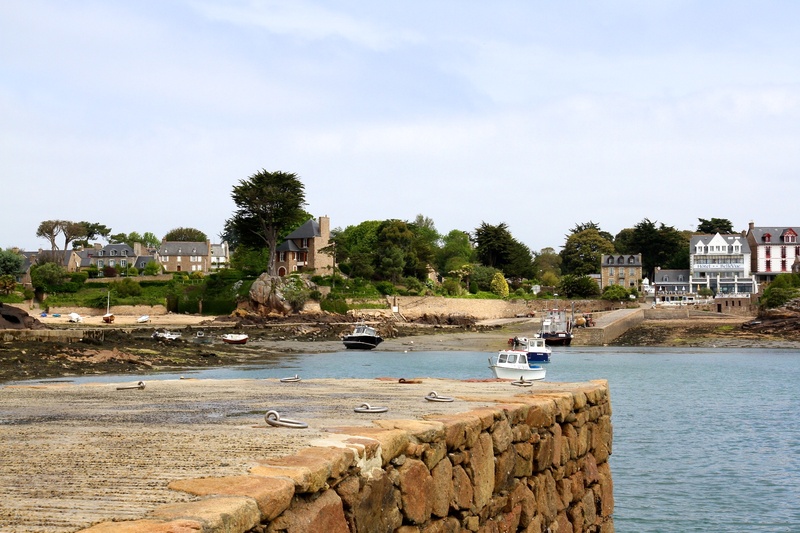 You will go to Roscoff, a charming little town and well worth the visit on its own. Do not think this is just a ferry port and ignore it. 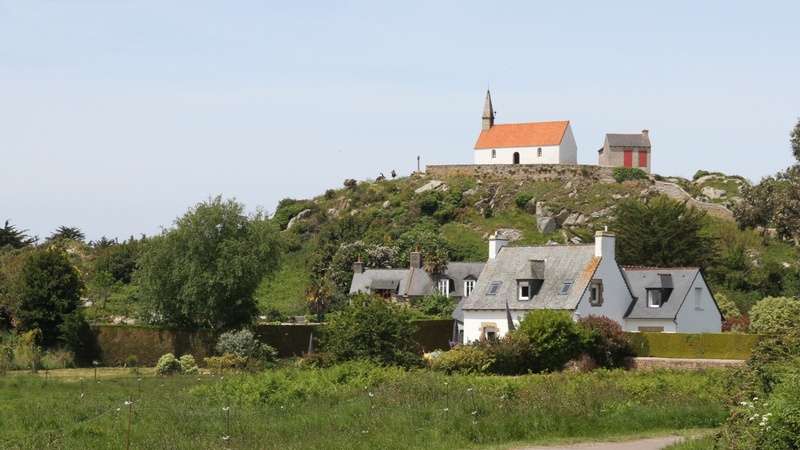 You will go to the Isle de Batz, a great place to walk around, to hire bicycles, to enjoy the eating places or just go to the beach. 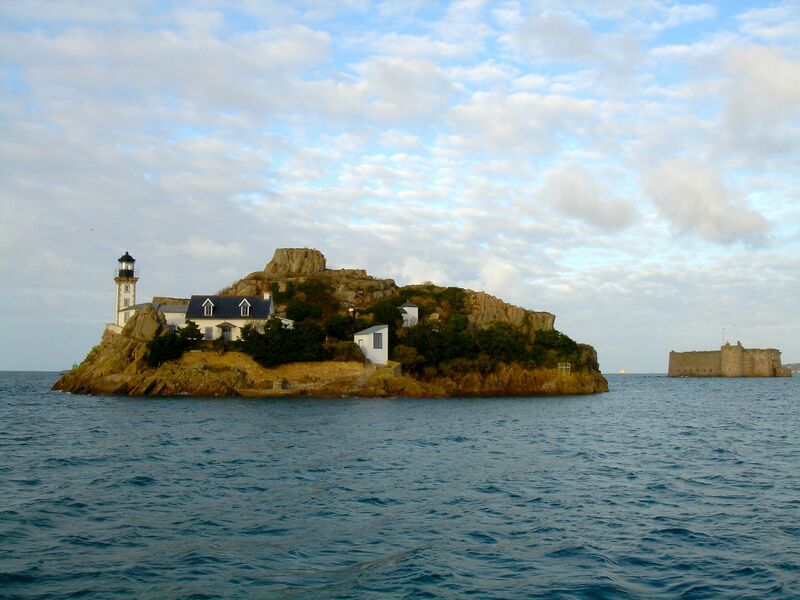 You will pass the island bird sanctuaries, the super little light house called Isle Louet and the Chateau du Taureau. The chateau is a formidable fortress built especially to keep the English out ! Again this is a great visit in its own right. 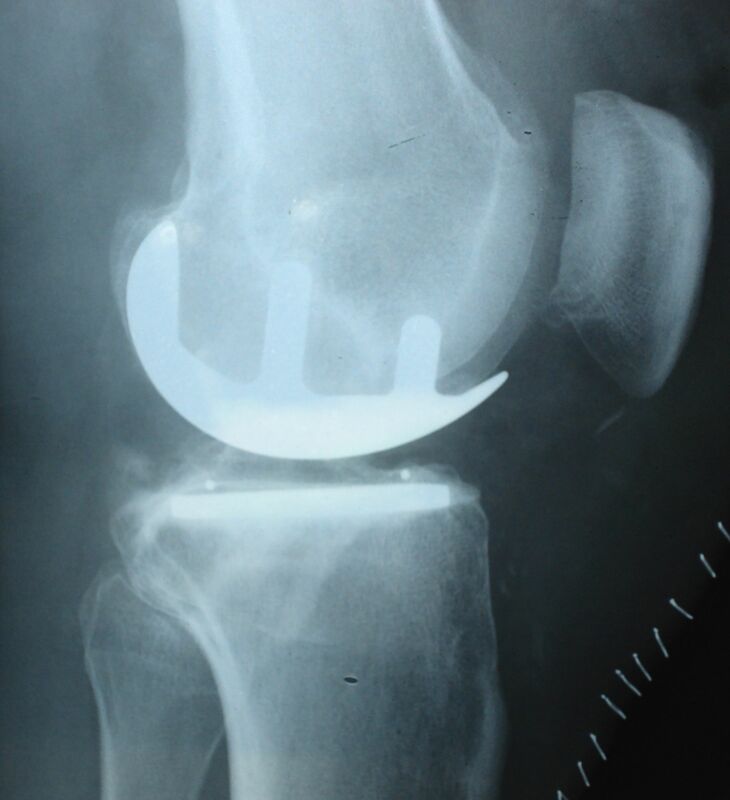 It has been renovated to a high standard. You will come home after a very interesting, entertaining and super family day out, and maybe even a little tired. The must haves are ~ warm clothes to wear on the boat (just in case) and sun tan cream. 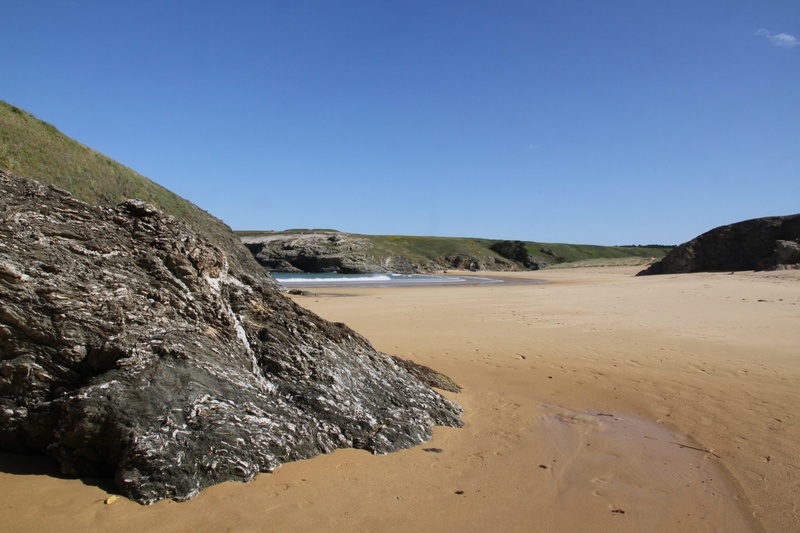 Food is not included on the trip so be prepared with your own picnic or choose somewhere to eat on the Isle de Batz. I love to go to Ploumanac’h. The little port is beautiful and for a sailor, the entrance into the harbour looks awesome. If you decide to go and have a look for your yourselves, I suggest trying to park in the port area, as there are plenty of spaces to park. Then follow the road (anti-clockwise round the port) and then right up the foot path near the Bureau du Port. You will then have a super little walk around the headland and back into the centre of Ploumanac’h. There is a lovely little statue near the top of the beach. It will attract you with its round shape … As you approach, you notice there is a small monument: the oratory of Saint-Guirec. 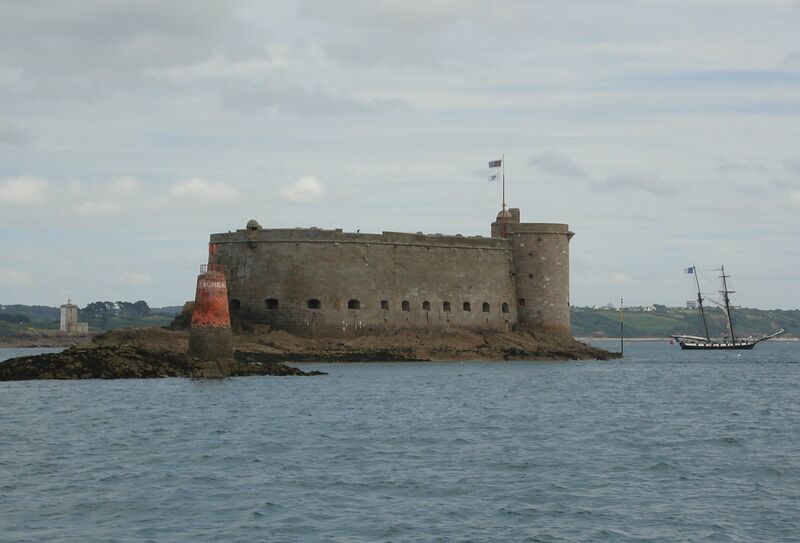 This curious edifice, built on a pile of rocks and submerged by the waves at high tide, originated in the 12th century. The statue of Saint Guirec was very popular with sailors’ wives who came to pray for the return of their husbands, and he was admired as much by the girls. A caption read, that if they were able to stick a needle in the nose of the saint who sat there, they would be married within the year. The original wooden statue became so damaged that the parish eventually replaced this with a copy statue made of granite. Admire the chateau on the island off the beach. Enjoy a fantastic ‘fruit de mer’ in the cafe overlooking the beach. 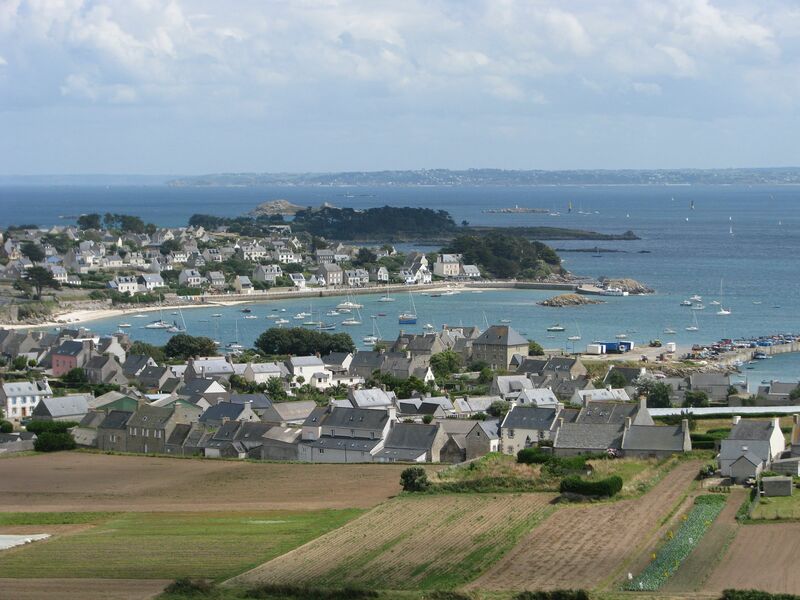 Walk a little further around the footpath (Sentier des Douarniers) towards Perros Guirec and have a close look at the little lighthouse and the fantastic lifeboat station in the cove around the corner. If you are exhausted, there is a shortcut back to your car using the roads via the centre of the village. 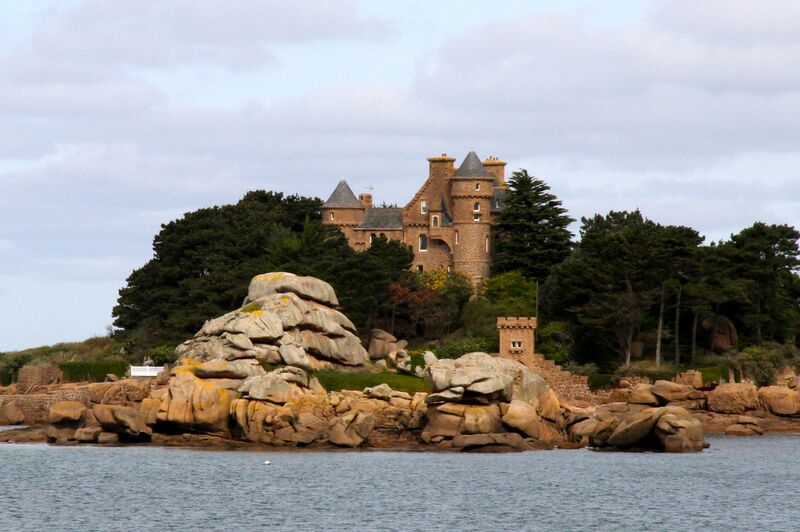 This little island is just offshore from the town of Roscoff. 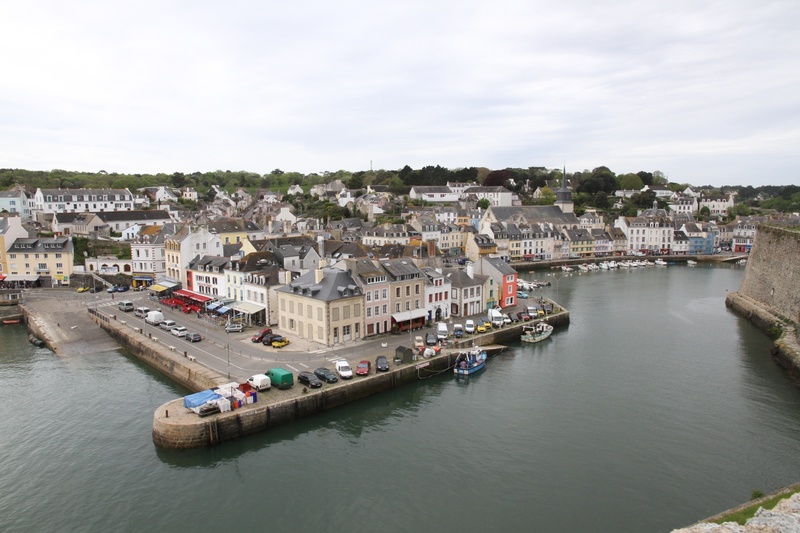 If you came to Brittany via Roscoff ferry terminal you will have passed it by on the way in. From the centre of the town take a water taxi from the port to the island. It is a 10 ~ 15 minute trip. On the island you will find bicycles for hire, or in less than a full day you can walk around the island and soak up the atmosphere of the sea and land together. 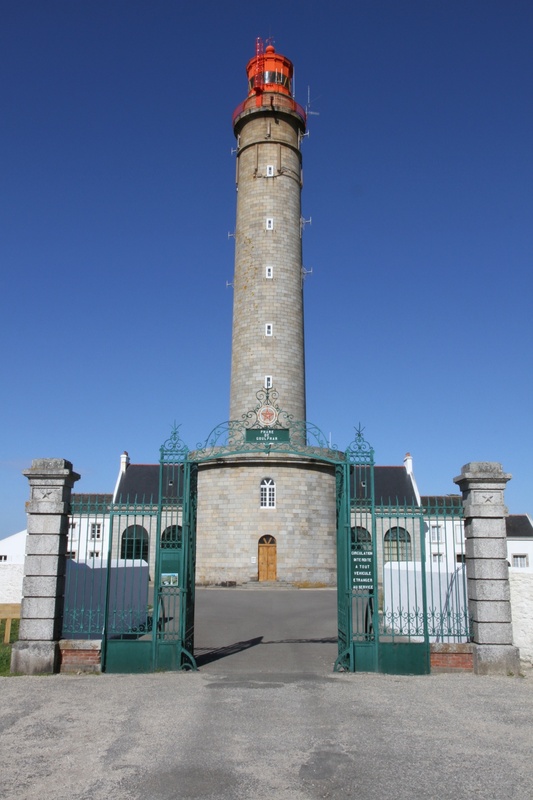 It is a super place to go with some nice restaurants and you can climb up the lighthouse tower and enjoy the view. Dimanche 29 mai, a fer a flots sera sur l’île de Batz pour la fête de la pomme de terre. Apéro paysan, expositions, ventes de légumes.. Il reste des places. On Sunday 29 May a Feraflot trip will be going to the festival of the first crop of potatoes. There will be an exhibition and sale of vegetables. There are still some places remaining on this trip ~ hurry now!